Desiree brings a wealth of experience to her role as Head of Academy. Her depth of knowledge and expertise have been integral to the design and build of the Wraw tool itself and the detailed reporting that it supports. 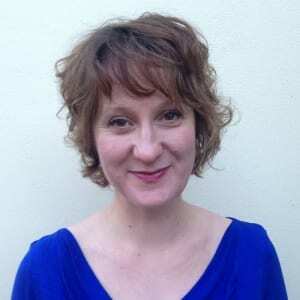 As Head of Academy she leads our Wraw Practitioner Accreditation programmes, and provides on-going mentoring and supervision support to our accredited practitioner community. Desiree’s extensive experience of working with other psychometrics, including EQi 2.0 and Insights Discovery, has afforded her a sound understanding of the importance of detailed measurement and in-depth reporting. She appreciates the challenges faced by practitioners working in the wellbeing and resilience field, and is committed to ensuring the programmes we run offer a robust and relevant business case for workplace wellbeing in the first place. Under her guidance, practitioners build a sound understanding of the validated model which lies behind Wraw – the 5 Pillars of Resilience – and develop the confidence and expertise to successfully interpret and debrief key reports. Practitioners are introduced to tried and tested tools and techniques which they can draw on to support engaging delivery, helping their clients to translate results into effective action, unlocking potential and supporting healthy high performance in the individuals, teams, leaders and organisations that they work with. When not delivering Accreditation, Desiree’s knowledge and experience within the wellbeing and resilience field allows her to operate as a regular keynote speaker at both client and industry conferences. Her professional approach, combined with her enthusiasm, flexibility and warmth, inspire confidence and respect in everyone she works with.